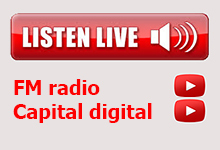 Welcome to Capital Community Radio 101.7fm! Welcome to the only community radio station in WA specifically dedicated to providing music and information to the Seniors of the Greater Perth area and beyond. Wonderful music from those golden years of radio. We also tell you what is happening in the local community. Find out more about us by exploring our website via the navigation menu on the top of the page. If you have a comment to make about the music that we play, or the way that we operate, then we would like to hear from you. We appreciate your feedback, which enables us to continue to improve and keep up with your expectations. All you have to do is to go to our Feedback Page. Here is what other listeners have to say.